Located close to Dubai’s old city Al Bastakiya, York International Hotel towers over Bur Dubai while at the same time blending in with its locally inspired architecture. This 3-star family-friendly hotel offers guests great value for money, along with a comfortable stay in a strategic location in Dubai. 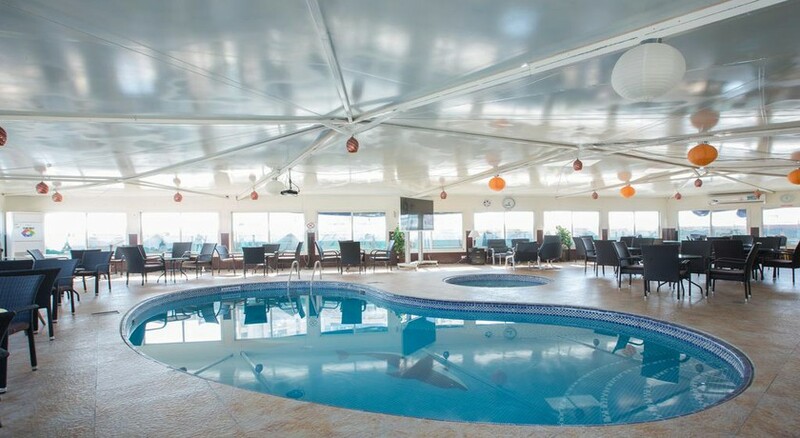 The air-conditioned brightly painted rooms, furnished with all modern amenities and comfortable beddings, invite guests to have a memorable stay while visiting Dubai, and make them feel at home. Guests can relax at the fabulous sun terrace or at the York Club with complimentary internet and delish food and beverages. 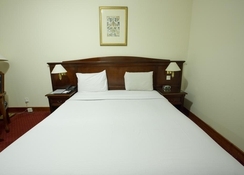 Well-connected by the Dubai Metro, most of the city is within reach from this hotel. Shuttles to the Jumeirah beach and neighbourhood are provided. The promise of attentive service, excellent guest amenities and convenient location, makes it a top favourite of travellers to Dubai, whether for business or pleasure. 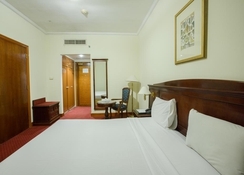 Located close to Dubai’s old city Al Bastakiya in Bur Dubai, York International Hotel is very close to the exciting market of Meena Bazar and the Grand Mosque, which are within a short walk. 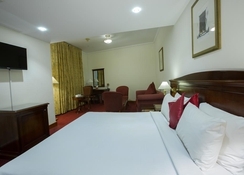 Well-connected by the Dubai Metro via the Al Fahidi Metro Station, guests of the York International Hotel can easily access most parts of the city. The hotel provides free shuttles to the Jumeirah beach. The Dubai International Airport is just 6km from the hotel. The York International Hotel has 111 contemporary, modern guestrooms rooms in categories like Standard Rooms and Executive Rooms/Suites. The spacious rooms have either a double bed or single beds, en-suite bathroom with shower, hairdryers and slippers plus other modern amenities to make the guests feel comfortable. Room service is available. Stays can be customised as per request should you need a pillow menu or fresh coffee on arrival. The hotel has a clutch of restaurants that serve up amazing regional and international cuisine. It has the Mahi restaurant, Kashish restaurant and Queens restaurant with lovely ambience and skilled chefs. Guests can relax with a drink in hand at the in-house bar. Guest can chill out at the nightclub with drinks, until the wee hours. 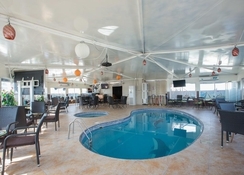 Guests have many options to relax and recharge during their stay at the York International Hotel. There’s a Massage Spa Centre offering delicate therapies and massages, a Sauna to detoxify their skin and a well-equipped Fitness Centre to work out. On the ground floor there’s a nightclub fitted with excellent acoustics plus superb lighting in a stylish ambience and favoured by tourists and locals alike.